Once you have got ordering for your object, you can use Collections.sort() method to sort your ArrayList of objects. This method accepts an ArrayList and sorts them in place. Internally it uses MergeSort to sort your list of objects. This method is a good example of strategy pattern because it uses the Comparator you provide to sort your objects, which means you can sort the same list of objects into different order by just changing the Comparator. For example, You can sort an ArrayList of Objects in descending order by just reversing the order of your Comparator. The JDK API provides another convenient method Collections.reverseOrder(Comparator c) which return a comparator with the opposite order of given Comparator. Btw, this is not the only way to sort an ArrayList of objects in Java. If you want you can use Comparable to sort in the natural order and in the decreasing order of natural order imposed by Comparator. the JDK 8 release also added a couple of methods on both java.util.Comparator class and java.util.List to make sorting easier. For example, you can also use List.sort() method to sort a List of objects. This is similar to Collections.sort() and you can use it to sort a List of objects using both Comparator and Comparable. This method accepts a Comparator and sort elements based upon that, but if you want to sort on the natural order, just don't supply a Comparator and pass null. The List.sort() of Java 8 will then sort the list on order imposed by Comparable. 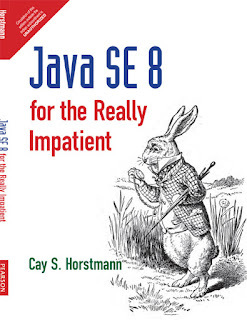 See Java SE 8 for Really Impatient to learn more about new methods added on Comparator and List interface to make sorting easier in Java 8. In this article, I'll show you how to sort a List of objects in both ascending and descending order by using Comparator. I have a domain object called Course, which contains title and price of the course, a title is String and fee are long value. In order to sort the list of courses e.g. REST With Spring, Learn Spring Security, and Introduction to Spring MVC 4, some of my recommended course to learn Spring, I have created two Comparators, a title comparator which sorts based upon title and a fee comparator which sorts based upon fee. 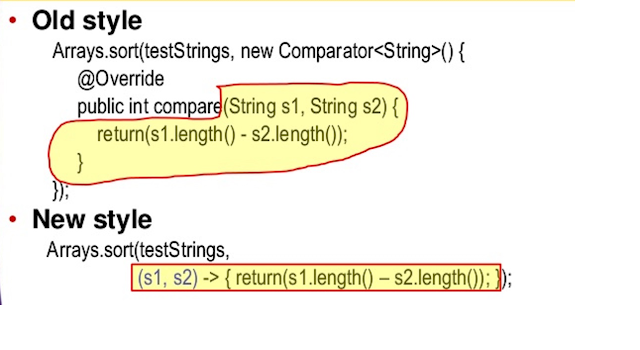 These Comparator implementation classes use Java 8 lambdas to implement compare() method as shown here, and sort the list of objects into ascending order of title and fee. In order to sort in the reverse order i.e. descending order, you don't need to create a separator Comparator, instead, you just need to reverse the order of existing comparator using Collections.reverseOrder(Comparator c) method. If you are using Java 8, then you can also use the reversed() method of java.util.Comparator which returns a comparator that imposes the reverse ordering of this comparator. In fact, JDK 8 has added several new methods to facilitate sophisticated sorting in Java 8 e.g. comparing() and thenComparing() method to chain multiple comparators. See Java 8 in Action to learn more about sophisticated sorting in Java 8 with new methods of java.util.Comparator class. I'll also write more post to explain new features of Comparator in Java 8 to give you an overview of the power you get with Java 8. Here is our Java program which will sort the list of courses using custom comparators. In this article, I have created two implementations of java.util.Comparator interface, one called TitleComparator, which sort the list of courses on their title and other, called FeeComparator which sorts the list of courses on their price. I have also used new List.sort() method of JDK 8 for sorting. Though, you can use Collection.sort() if you are not using JDK 8, just replace the List.sort() with Collections.sort() and the program should work fine. Also, I have used the lambda expression to implement our Comparators as oppose to Anonymous class which we used earlier. You can see your Comparator implementation has become quite simple and you can write them in just one line. From the output, it's clear that our sorting works as expected. In the ascending order of title, Introduction to Spring MVC 4 comes first because it starts with the letter "I", while other starts with letter "L" and letter "R". In the descending order, the "REST with Spring" comes first because of the same reason. While, in the ascending order of fee, again, Introduction to Spring MVC 4 comes first because it is the least expensive out of these three courses. That's all about how to sort an ArrayList of Objects using Comparator in Java. You have learned to sort ArrayList in both ascending and descending order using Comparator. As I said, you don't need to create two comparators, instead, you just create a comparator to sort the list of objects based upon any attribute you want and then use the Collections.reverseOrder() method to reverse the order imposed by Comparator. It accepts a comparator and then sorts the elements in the array list in the reverse order of that comparator. This way you can sort the list of objects in descending order. How to sort an array in place in Java? Thanks for reading this article so far. If you like this tutorial then please share with your friends and colleagues. If you have any question or feedback or you didn't understand any part of this example then please drop a comment and I'll try to answer your question.